Lock in a great price for Just Chile'n B&B – rated 8.9 by recent guests! Very friendly and helpful staff who spoke great english. Breakfast was brought to our apartment daily. Our room was clean and spacious. There are about 4 apartments with 1-2 rooms in each. There is a kitchenette in each apartment, there is a sink, small refrigerator, and microwave. However, if you do not want to pay the 19% chilean tourism tax you will have to pay in USD or chilean pesos, not by credit or debit card. It is a separate room in an apartment. You share a dining space and a bathroom with one dorm room. Clean and comfy. Everything! The confort, really clean, it looks new! The wifi connexion was excellent and the breakfast so good! Not the typical hostal, it’s mini appartements with 2 rooms. (Either dorm or double bed/2 single beds) Breakfast with many options to choose from. Owner really helpful. We were able to leave our extra backpacks during Torres trek. We also got early breakfast because of the trek. There is a fridge and Microwave if you want to eat, but no stove. So a bit limited if you want to cook. The setup was new for me. There are 4 houses, with in my house 2 rooms: a 4 bed dorm and a private room with shared bathroom. Because of the small setup there isn’t a big social happening, but it’s great to relax. The staff was super friendly and very helpful. You can use bad towels for free. The place is spotless clean and everything is new. the breakfast is amazing, you can choose what you want and when and they will serve it in your house. I would definitely recommend to stay!! 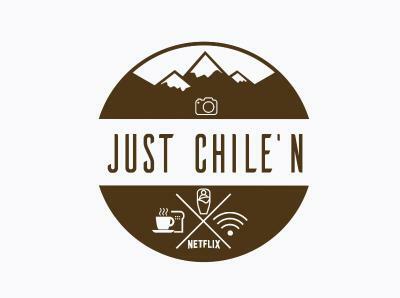 Featuring a garden and free WiFi, Just Chile'n B&B is located in Puerto Natales, a 9-minute walk from Puerto Natales Bus Station. The property is close to Yungay Square, Ether Aike Artisanal Village and Municipal Museum of History. Puerto Natales Main Square is a 19-minute walk from the hostel and Maria Auxiliadora Church is one mile away. Featuring a shared bathroom with a shower and a hair dryer, some rooms at the hostel also have a mountain view. Cycling is among the activities that guests can enjoy near Just Chile'n B&B. Cueva del Milodon is 16 miles from the accommodation. 뀐 Located in the top-rated area in Puerto Natales, this property has an excellent location score of 8.8! When would you like to stay at Just Chile'n B&B? House Rules Just Chile'n B&B takes special requests – add in the next step! Just Chile&#39;n B&amp;B accepts these cards and reserves the right to temporarily hold an amount prior to arrival. Just Chile'n B&B accepts these cards and reserves the right to temporarily hold an amount prior to arrival. Please inform Just Chile'n B&B of your expected arrival time in advance. You can use the Special Requests box when booking, or contact the property directly using the contact details in your confirmation. No cooking facilities other than a microwave which was fine for our needs. There is no stove or oven in the kitchenette. One of the staff members was fairly rude! Walls are very thin so can be noisy. Other people in the house hanging dirty socks & under wear in the bathroom...not very nice. Very thin walls, so you could hear everything from other room and stairs. Not enough space in the break out area for all guests. Staff was not very friendly apart from Pedro who was extremely nice and gave us great advice for our day hike to Torres del Paine. He also let us leave our luggage there during the day while the owner didn’t want to allow it. Shower is not terrible but it could be improved. Very nice beds and new furniture because they just opened this season. Breakfast is served personally and at the time you order it in the apartments. There is almost nothing for cooking! But that's not a problem, just remember it. The room itself is really small. The shower is a bit small. There is no stove so you cannot cook. It wasn’t such a big deal for me because I didn’t stay that long, but if you stay longer you either need to go out to eat or eat microwave/bread every night etc. The shower is a bit small. All the beds had a bed light and electricity, accept mine. It is not a real hostel, more like a small apartment. The wall was really thin. Nice and clean hostel! Staff is really helpful with everything! Recommend! !